Let's use 'em up, k? 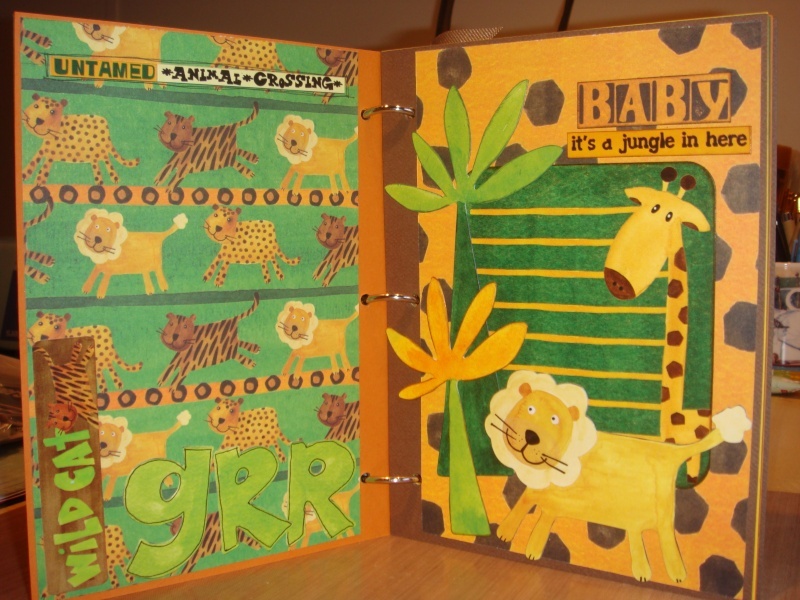 I wanted to make this little mini-book for a friend having a little baby boy, and their 'theme' is jungle animals. 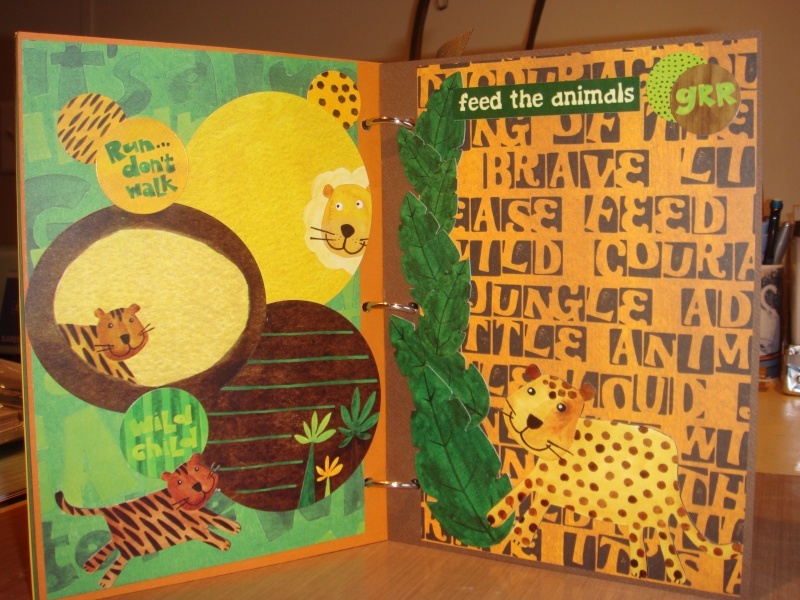 So it was TOO perfect for me, that I had this Reminisce collection, appropriately called 'My Jungle Safari'. CUTE papers and stuff. I was very excited to use this, as I've had it awhile, and therefore it counts as 'stash'. 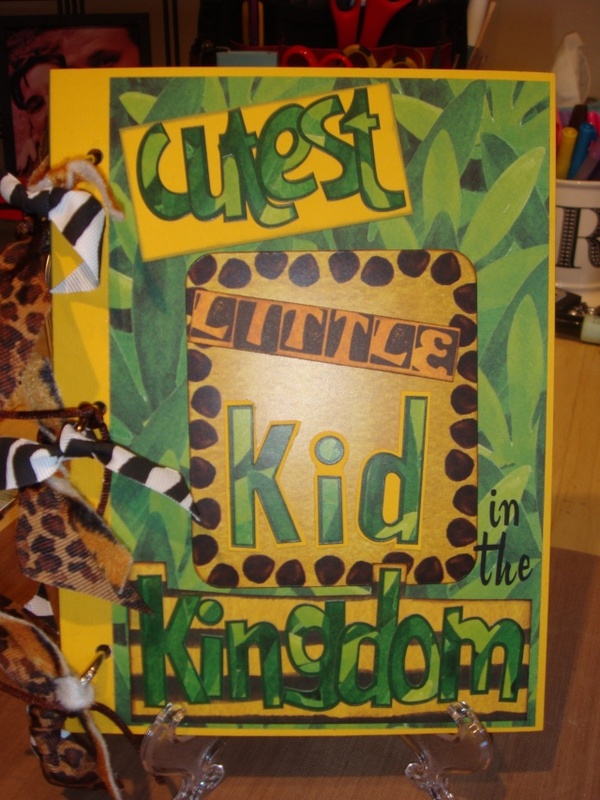 I don't have boys, and normally would have a hard time finding a use for this theme, in my own scrapping. So it worked to make something for someone else! Hey, that could be a challenge for you today too! So go for it, if you want!! I'll spare you from all the pages, but I will put it up on my blog, probably sometime tomorrow, if you want to see them all. TFL! I want to see you post your stuff!! Let's Use Those Stickers!!! Re: Jan 15 - Stickers! 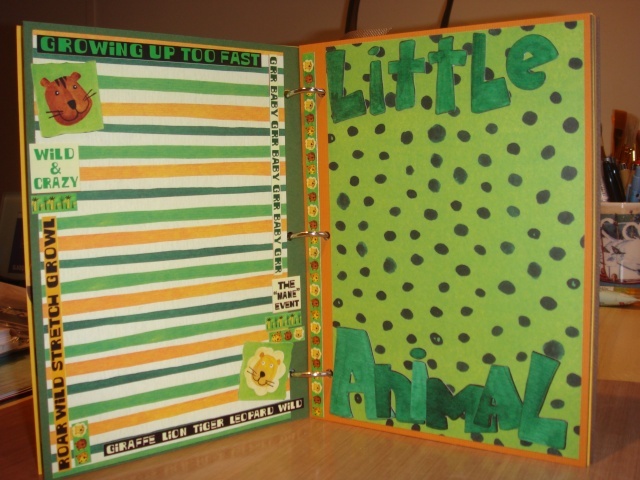 Adorable...I used that same collection for a baby album for a friend...gave it to her in June! Thanks! I want to see what you ladies make! !